Physical inactivity is a known risk factor for negative health outcomes including non-communicable diseases (NCDs) such as diabetes and stroke. A recent study published in The Lancet, available here [pdf], estimates for the first time the economic burden of physical inactivity for 142 countries around the world, representing 93% of the world’s population. In essence, the approach examines the effect of physical inactivity on five major NCDs: coronary heart disease, type 2 diabetes, breast cancer, colon cancer, and stroke. A nine-step process is used to generate the estimates, and sensitivity analysis is used to test the results against a range of assumptions (details available in the article). The estimates are conservative. For example, data limitations allowed estimates for only 5 of the 22 diseases known to be affected by physical inactivity; indirect costs only capture estimates for premature death (not illness or disability); and indirect cost analysis was not able to take into account the informal economy. Nevertheless, the analysis is important because it provides the first global estimate of the economic burden of physical inactivity. The analysis is useful from a policy perspective because it estimates the direct health care costs as well as productivity losses. The analysis also estimates where the burden of those costs fall across the public sector (in terms of government health expenditure); the private sector and third party payers such as health insurance companies; and households (in terms of direct out-of-pocket expenditures). A consistent methodology allows comparisons between countries and regions. The key findings from a global perspective are as follows. Physical inactivity is conservatively estimated to have cost International $67.5 billion in 2013. (International dollars are a hypothetical construct designed to adjust for differences in costs in individual countries, and market based exchange rate differences. The World Bank says “an international dollar would buy in the cited country a comparable amount of goods and services a U.S. dollar would buy in the United States”. All figures in this blog refer to international dollars in 2013). The direct costs to the health system of physical inactivity are estimated at $53.8 billion (80%) of total costs. In addition, physical inactivity-related deaths contributed a further $13.7 billion (20%) indirect costs through lost productivity. Type 2 diabetes was the most important disease linked to physical inactivity, contributing $37.6 billion direct costs to the global health system (70% of the total). This was followed by stroke at $6 billion; coronary heart disease at $5 billion; breast cancer at $2.7 billion; and colon cancer at $2.5 billion. The public sector bore most of the direct global health system costs of physical inactivity: $31.2 billion, or 57%. This was followed by the private sector and third party payers such as health insurance companies ($12.9 billion, or 23.9%) and then households ($9.7 billion, or 18%). However, there were wide variations in which sector bears the main costs of physical inactivity reflecting the different structures of health financing between different countries. In the UK for example, with its tax funded national health system, 83.5% of direct costs of physical inactivity are borne by the public sector. In contrast, in the USA 41.1% of direct costs are borne by the private sector/third parties, less than half (47.1%) of direct costs are borne by the public sector, and 11.8% by households. 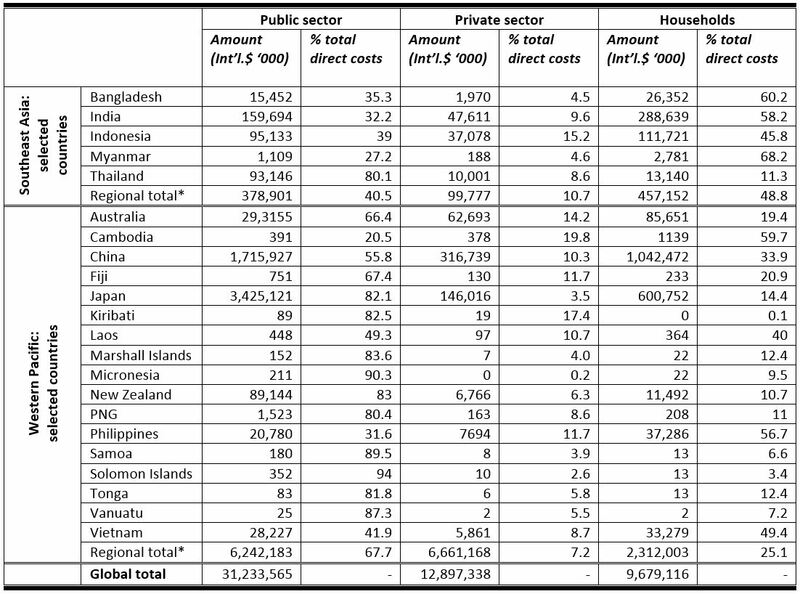 Table 1 below provides an extract from the report showing selected countries in Asia and the Pacific. It is clear that the economic burden of physical inactivity is large in absolute terms for several countries in the region. For example, in China the economic burden is $1.7 billion, in India $159 million, and Indonesia over $95 million. The economic burden of physical inactivity is particularly pronounced in terms of the impact such costs have on public health systems, particularly in the Pacific. More specifically, four of the five countries across the globe with the highest share of costs borne by the public sector are in the Pacific. In the Solomon Islands, 94% of the economic burden of physical inactivity is borne by the public health system – the highest rate in the world. This is followed by Seychelles (92%), Micronesia (90.3%), Samoa (89.5%) and Vanuatu (87.3%). This reflects the low level of private sector and third party health insurance, and low levels of household out-of-pocket expenditure in the Pacific. Source: Ding et al 2016. Southeast Asia and Western Pacific regions based on WHO definitions. *Regional totals include other countries in the region not shown in the table. The recent article in The Lancet demonstrates that physical inactivity has a potentially significant economic, as well as a health, burden. Physical inactivity is a personal choice, shaped by a range of social, cultural, and environmental factors, but the direct costs are borne by the health system. Where exactly that economic burden falls – public, private, or household – depends upon the nature of each country’s health system. In Pacific countries, the economic burden falls particularly heavily on the public sector. Fortunately, a lot can be done at relatively low cost to further promote physical activity, including in the Pacific where rates of obesity and type 2 diabetes are high. An important start is to increase awareness and give people practical knowledge about the benefits of increasing physical activity. The American Diabetes Association notes that “around 150 minutes per week of physical activity and diet-induced weight loss of 5-7% reduced the risk of progression from impaired glucose tolerance (IGT) to type 2 diabetes by 58%”. Another study published in The Lancet last month found that “moderate intensity physical activity (i.e., about 60-75 min per day) seem to eliminate the increased risk of death” associated with people now spending much of their day sitting. It is also important to encourage physical activity among school age children as part of a package of healthier lifestyles leading into adulthood. WHO supported surveys, available here, indicate often low levels of physical activity among the school-age population in much of the Pacific. 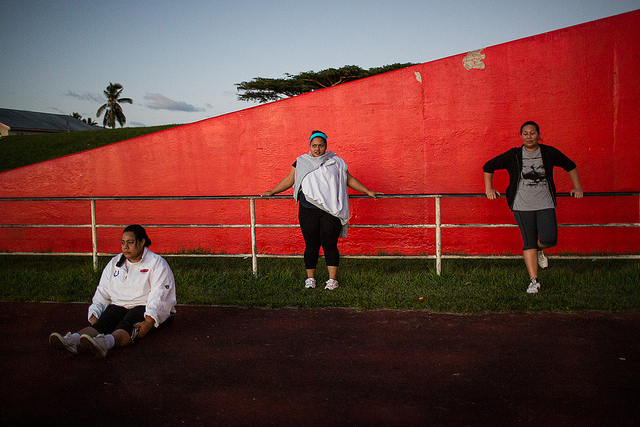 For example, only one-quarter of male and female students aged 13-15 years in Tonga were physically active for 60 minutes or more per day for five or more days in the week, and only 12.5% of girls, and 17.5% of boys in Nauru are physically active by that measure. To support increased and lifelong physical activity, multi-sectoral approaches are key, including urban design that encourages walking and bike riding. Ian Anderson is a Research Associate at the Development Policy Centre and a PhD student at Crawford School of Public Policy, ANU. He has over 30 years international development experience with AusAID, the World Bank and the Asian Development Bank and as an independent economics consultant. Thanks, Ian. I am always pleased to read your blogs about this important issue. I do dispute the idea that physical activity is squarely a “personal choice”. This brings to the fore the age-old ‘structure-agency’ debate. As you point out, social, environmental and cultural (and I would add economic) factors play a large role in shaping human behaviour. Some of these are powerful forces. For example, if a woman lives in a culture where it is frowned upon to engage in rigorous physical activity, and she endures social ‘punishment’ for doing so, does she really have a choice? Further, human brains have a present-bias: we are bad at making good decisions today for our future selves. I didn’t exercise this morning because a warm bed was more enticing than a -3 degree morning. Every day I do this I make my future self less healthy. I have a very simple life, and I can’t always muster up the energy to overcome this present bias even when I know it is bad for my future self. For people who have complicated lives, such as experiencing economic stress, systematic discrimination, overwhelming care-giving demands, etc. etc., it is hard to find the energy (or the time) to exercise. What kind of choice do they have? Ultimately, of course, people need to engage in more physical activity. While education/information is important, the knowledge-attitutes-behaviour behaviour change model implied here doesn’t work that well. As you indicate in your conclusion, we need to build societies and communities that support and encourage physical activity of multiple sorts – making the healthy choice the easy choice. We also need to spend much more time addressing the socio-economic determinants of health: poverty, inequality and discrimination. Thanks Ian. Fascinating blog. Get moving people! Are those numbers for Tongan and Nauruan school children low compared to other countries, including Australia?